XMM-Newton (X-ray Multi-mirror Mission) is a European Space Agency observatory that was launched the 10th December 1999 from French Guyana, with an Ariane 504 launcher. The observatory detects X-rays, a very energetic form of light. XMM-Newton is therefore able to detect some of the most energetic phenomena in the Universe, such as the explosions of massive stars (supernova explosions), gas and dust spiralling towards a black hole just before it is swallowed, and crowds of galaxies (galaxy clusters). XMM-Newton's ability to detect even faint objects comes from the fact that each of the three telescopes on board are made up of 58 mirrors that can focus the X-rays onto cameras that are able to detect this high energy light! Each X-ray telescope records the light on one of the three EPIC cameras (European Photon Imaging Cameras), either the pn camera or one of the two MOS cameras. These cameras allow us to reconstruct the image of the sky that was observed, and also to detect any changes with time of the objects observed (lightcurve), as well as information about the number of photons recorded at different energies (spectroscopy). Half of the X-ray light that is focussed by two of the telescopes is re-directed to the RGS (Reflection Grating Spectroscopes) so that a much more detailed spectroscopic study can be carried out. 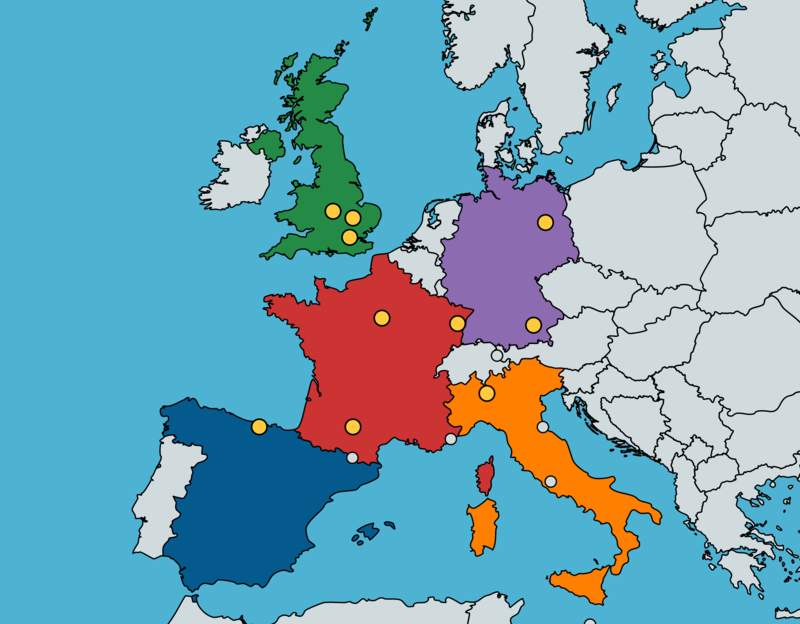 The XMM-Newton Survey Science Centre is a consortium of 10 European institutes appointed by the European Space Agency (ESA). It is led by the Institut de Recherche en Astrophysique et Planétologie, in Toulouse in France. 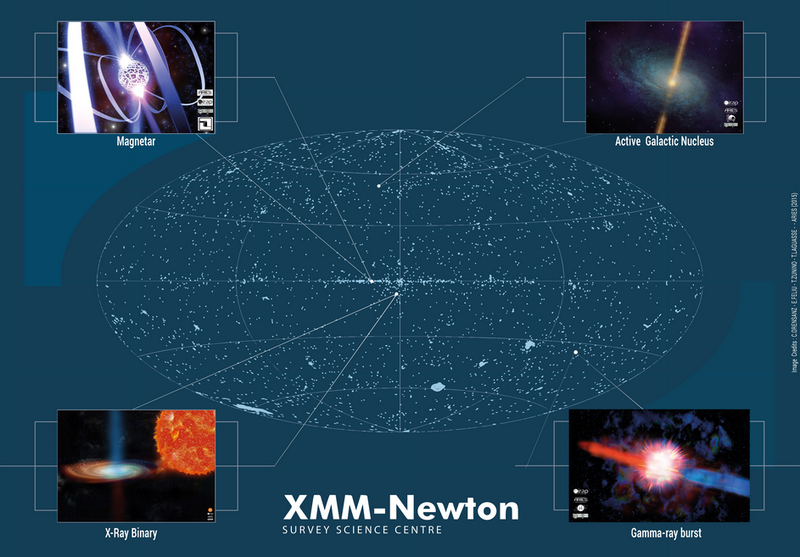 The consortium has four missions: 1) to provide software that can be used to reduce (clean) and analyse all of the data coming from XMM-Newton, 2) to process all the data into scientifically usable products for the astronomical community, 3) construct catalogues of the X-ray sources detected with XMM-Newton and 4) conduct scientific research to better understand these sources. 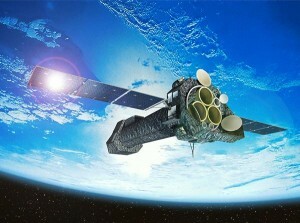 Today, almost 20 years after the launch of XMM-Newton, it is the latter two goals that are the focus of the consortium. 2018, XMM-Newton Survey Science Centre, All rights reserved.